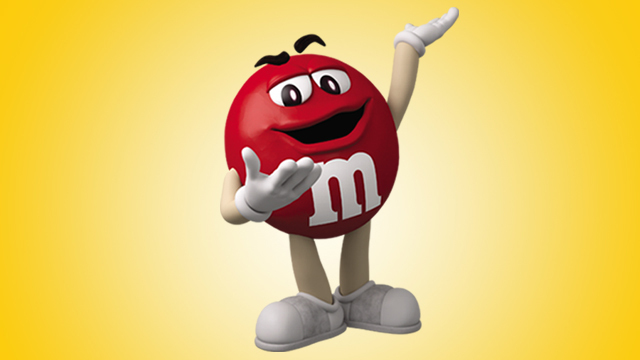 It looks like my candydate RED won the recent candy election with M&M. The candydates undoubted popularity stemmed from it's platform of toughness, smartness, of which most voters actually wanted. We've been steadily campaigning since day 1 and now that he's won, my team mates and I would like to thank all the people that supported us in this endeavor. 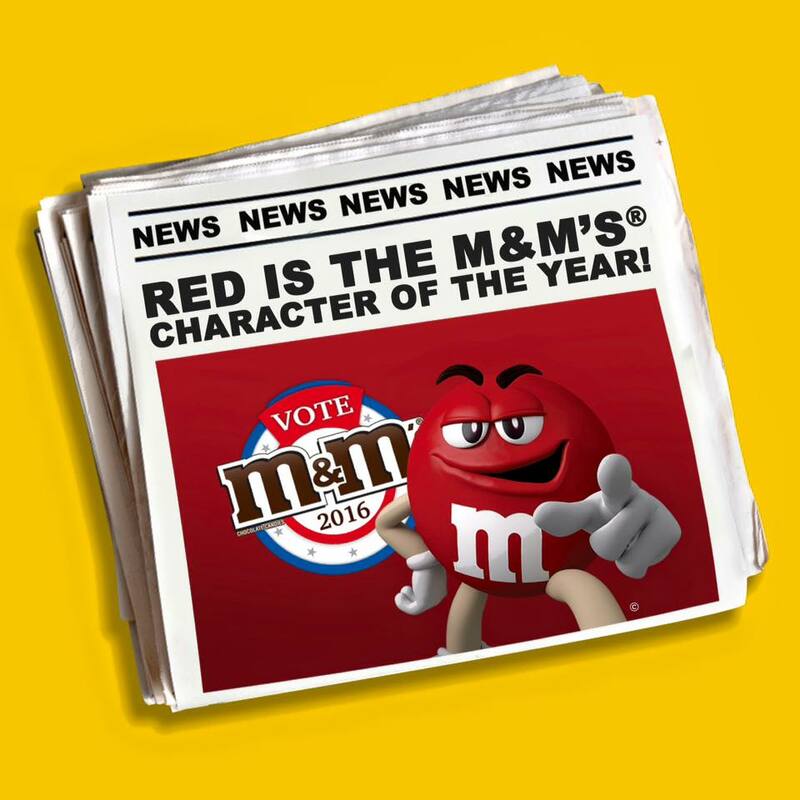 After a month long campaign, M&M’S® Red has won the Vote for M&M’S® 2016 best candy elections. 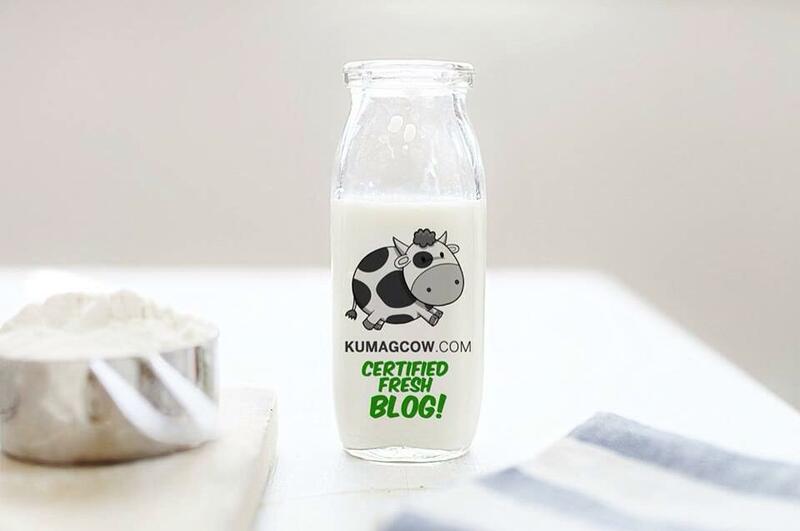 He has garnered a whopping 10,243 posts or 47% of the total votes. This is up 10% from the previous release of partial election returns a few weeks ago. On Second place, it's M&M’S® Green who got 32% of total votes or 6,972 posts whilst M&M’S® Yellow on the other hand has got third place with 21% of total votes or 4,547 posts. Good campaigns and the recent miting de avance must have really boosted the confidence of the supporters, in the end it was all about how REDDY you are about leadership, how tough you are in facing issues and taking action whenever needed. This is why RED won and it's a great way to have met tons of people in social media that supported our cause. 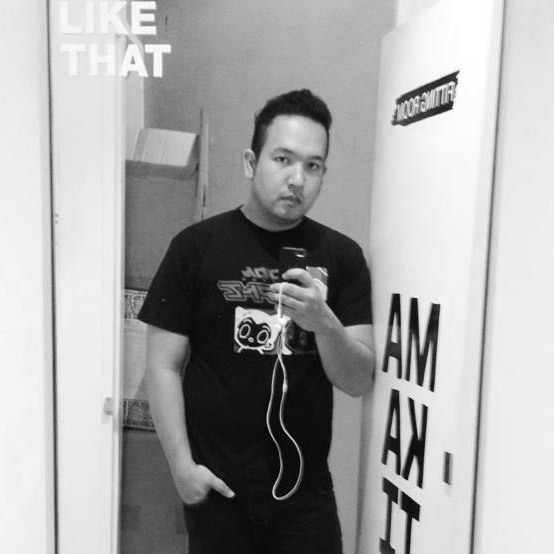 With that, thank you! 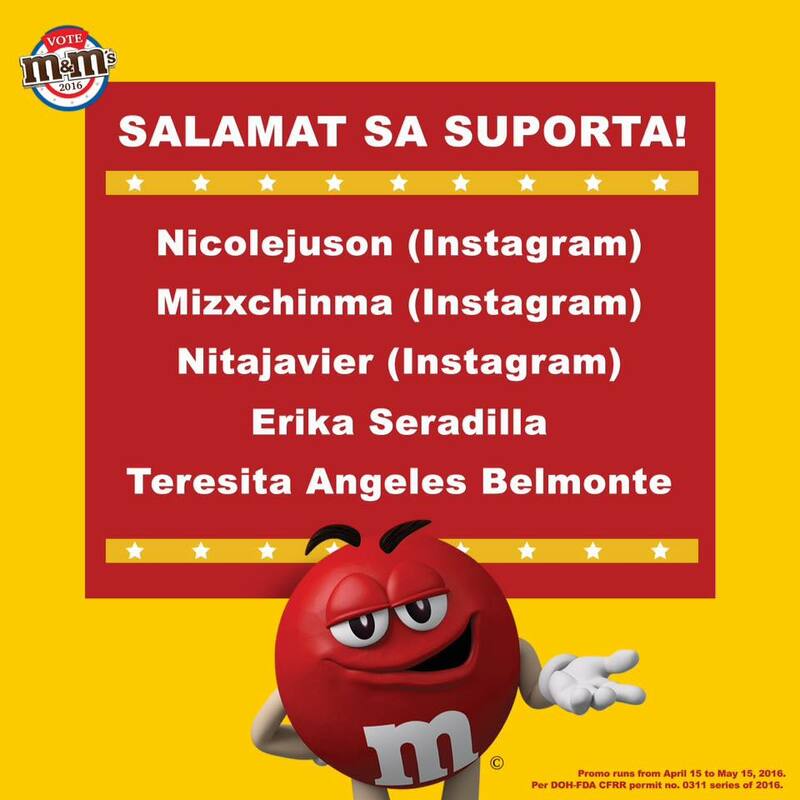 By the way, congratulations also to these winners! You will be contacted by M&M’S® representatives so please make sure you check your social media accounts on how to claim your prize!